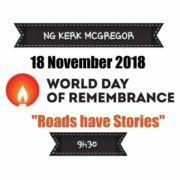 Joining forces with the Western Cape Provincial Traffic Department in order to educate and empower road users and scholars to become safe and responsible. 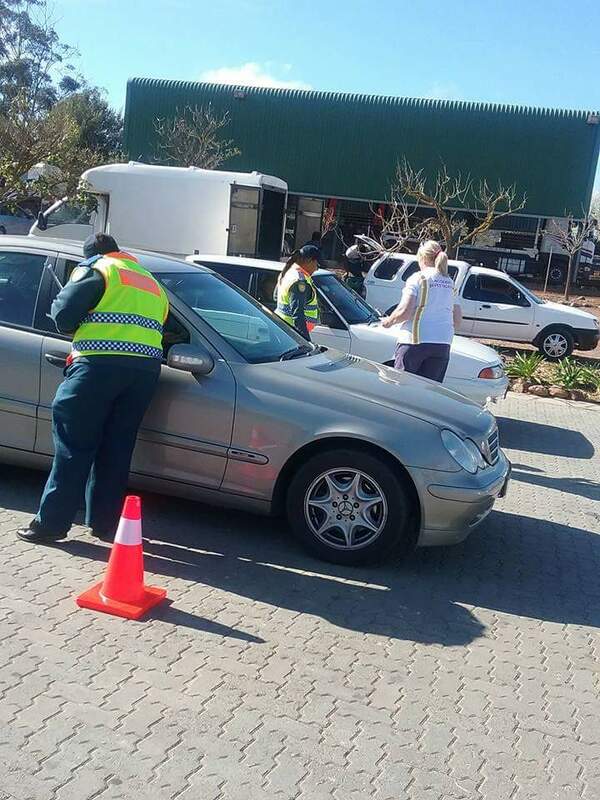 These past months, we have been active in the greater Montagu / Swellendam Area, to educate and empower road users at organised roadblocks which were conducted by the Provincial Traffic and South African Police Services. Joining forces is a key aim of Drive More Safely, and what an amazing honor it is to work alongside these officers, sharing our knowledge and transferring it to our road users to ensure that they are safer and more responsible when using our roads. 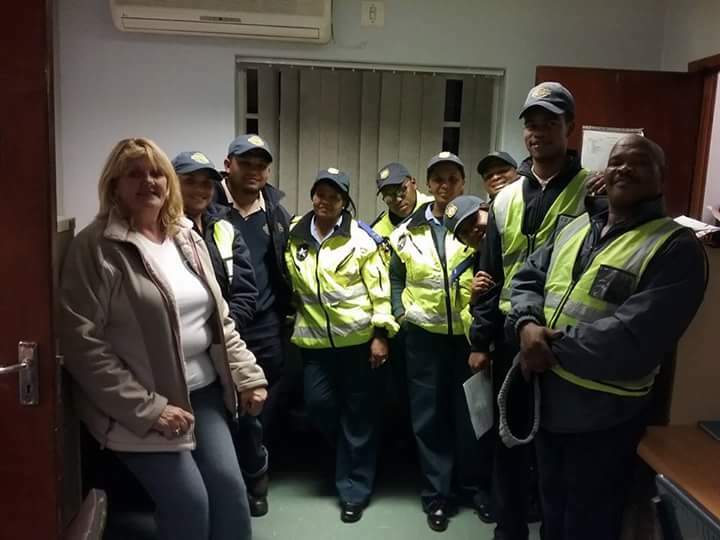 Alida Jones worked with the Swellendam Provincial Traffic Officers at the Swellendam weigh bridge over the 2017 Easter Weekend where we focused on public transport vehicles. We worked throughout the night and stopped 178 taxis. A well organised operation and after a 9-hour night, we were tired but satisfied with our achievements. 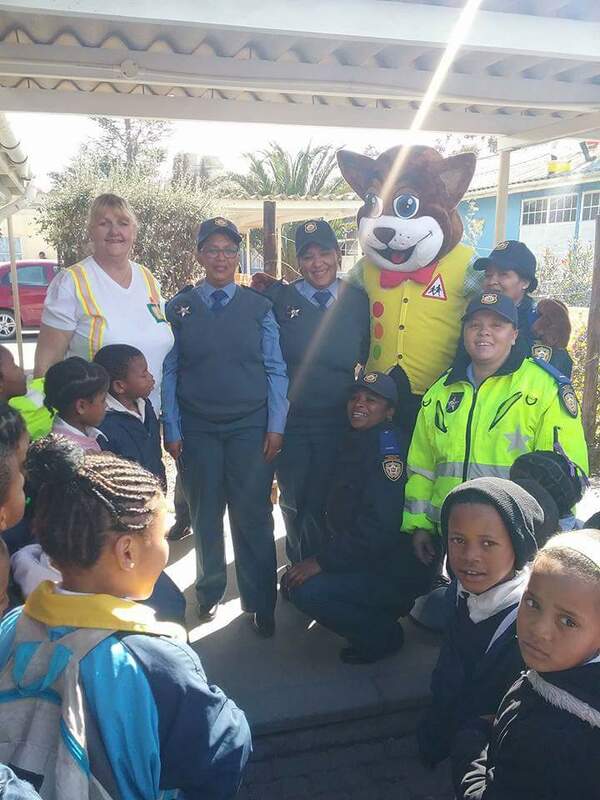 As part of Women’s Month, we once again joined forces with the Swellendam Provincial Traffic and headed to Barrydale, where we visited the F B Oosthuizen Primary School with Danny Cat. A talk on law enforcement as a career was held with the grade 8 and 9 learners, and then pedestrian safety with the whole school. Drive More Safely also pledged to assist the school to start a scholar patrol to ensure the safety of the scholars. Here we are with the children and Danny Cat. 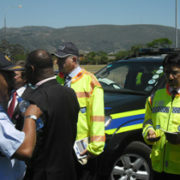 On Women’s Day we held big road block with only female officers and the Drive More Safely team. 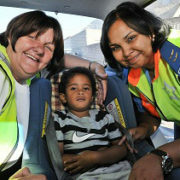 South African Police Services female officers also joined in and motorists were pleasantly surprised with all the smiles and laughter whilst doing what was needed at a roadblock. alcohol unit information was distributed. 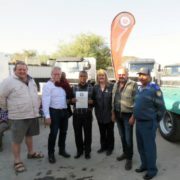 On the photo, Alida Jones from Drive More Safely joining in the education and chatting with road users at the road block in Swellendam. 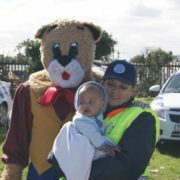 Alida Jones from Drive More Safely, joining in the education and chatting with road users at the roadblock in Swellendam. Do get in touch with us if you have a need at your school with regards to educating scholars to become safe and responsible. Pedestrian safety The proposed Road Accident Benefit Scheme will have a negative effect!